Your Ajax sump pump is one of the essential devices in your home because it is a device which works at all times of the day or night, protecting your home from flooding and water damage that comes from it. When it comes to ensuring that your sump pump is always going to work when you want it to you do well to enlist our local plumber for the job. Sump pumps truly save the day when it matters most but they just machines. And machines need to be tuned just like a vehicle does in order to get the longest life. They will break down so maintenance once per year is highly recommended. Maintain your Ajax sump pump more than once per year if there is excessive drainage, more wet weather than usual, or a higher water table. 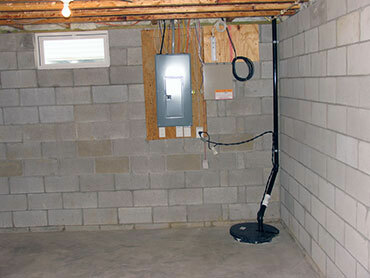 The sump pump is made up from several components all of which are critical to it working soundly. 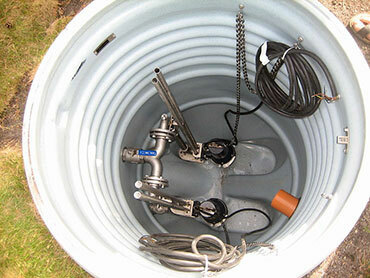 Sump pumps when first installed are dug into a pit which keeps it steady and secured. As water gathers, it collects in the basin and rises. When it reaches a certain level this trips the float switch and activates the pump. This is similar to how a toilet works. The pump begins pushing excess water through the discharge line forcing it away from the foundation of your home usually into a storm drain. Our local plumbers are on-call and available twenty-four hours a day, seven days a week, and all year long to provide emergency Ajax sump pump service when you need it. As an emergency based plumbing company we get that they cannot wait so we don't waste time. Let us know it's a serious emergency and you will be our top priority. Sump pumps are affordable considering the overwhelmingly positive affect they have on the safety of your home. Don't risk it and make sure if you do have a sump pump already that it is installed, repaired, or maintained so you can have this peace of mind. Maintaining your current Ajax sump pump is important. If it is a dry season it is still important to run the unit to make sure it will work when the weather changes suddenly. Sump pumps need to be kept clean and free of any debris including dirt, gravel, or sand. If there are any of these types of debris around the pump it will cause it to work harder than is required and overheat and break down much faster than necessary. If there is debris such as gravel, sand, or dirt in the discharge pipe or check valve it can make the pump drain slowly or overflow. Our local plumbing expert will ensure all parts are clean, repaired, or replaced and that the vents and air holes are all working in good order. When you see our local plumber arrive we will be fully prepared to get the job completed the first time for the long-term. If you have a brand new Ajax sump pump we will ensure it is not a defective unit, install it properly in the pit, ensure the pump is the right size, the discharge pipe is the right diameter, that there are no issues with any other parts such as the impeller, float arm, float switch, check valve, and make certain it will work should there be a power surge or outage in your home. You can be confident that our local plumbers can install your new sump pump Ajax, in no time at all with professional workmanship.